In this article we will setup and configure Basic iptables on Linux systems (RPM Family “Redhat 6/CentOS 6/Scientific Linux 6”). This is the first step every experienced sysadmin must do Just after finishing installing the Linux OS “any member in any Family of Linux systems”. I’ll go and configure the iptables rules on RPM Linux Family releases 6 “CentOS 6”. In RPM Linux Family release 6 iptables firewall is the default firewall, it included and enabled by default in any installation type “Minimal installation, Server installation, Server with GUI installation, etc..”. We will learn how to configure iptables for basic usage. Set the default chain policy for INPUT, OUTPUT, and FORWARD chains. We will learn how to start, stop, flush and restart the service, how to secure CentOS 6 after the installation process, and how to save our rules for loading it at Boot time “make a persistent rule”. 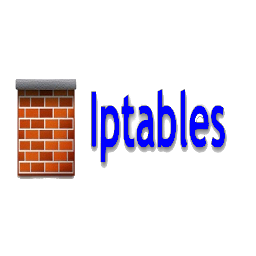 Iptables is an administration tool for IPv4 packet filtering and NAT. It’s a simple, a fast, and a powerful firewall installed on most Linux distributions. It’s a tool to secure, filter out, and block Internet traffic from accessing your Linux OS. Iptables is used to set up, maintain, and inspect the tables of IPv4 packet filter rules in the Linux kernel. Several different tables may be defined. Each table contains a number of built-in chains and may also contain user-defined chains. INPUT: Packets is going to be locally delivered “accepted by Linux OS”. FORWARD: Packets being routed through the box “send to another interface”. Usually used when you setup Linux as router. ACCEPT means to let the packet through. DROP means to drop the packet on the floor, and do not send any response. REJECT means to drop the packet on the floor, and send a message as a response. At this point, we successfully installed and enabled iptables to run when the system boots on RPM Linux family release 6, let’s proceed with some administrative commands. In this section, we will learn how to manage iptables service. Iptables service is managed via system V init script. So, we can use either service command or /etc/init.d/iptables init script to manage iptables with the following options (start|stop|reload|restart|condrestart|status|panic|save). Later we will use the command iptables “found in this location /sbin/iptables ” to configure the iptables rules. At this point you can deal with iptables service as you wish “start, stop, reload, etc..”. But there is some practical Hints you must be aware with when dealing with some of the above options. 1. Reload, and Restart options will only apply the rules found in /etc/sysconfig/iptables "persistent rules" any non-persistent iptables rules "applied from cli using the iptables command" will not be applied. 2. Panic is very dangerous as it forces all chains policy to be DROP, it removes all applied rules, and closes all established connections to/from your server. You Must only run this command if and only if you are able to access your physical machine "connected through a native terminal device tty". If you are connected remotely to your machine "connected through pseudo terminal device pty i.e using any remote terminal program xterm, screen, or ssh", You will lose the connection to you server. Now, after we introduced how to manage the iptables service, it’s time to secure your CentOS 6 box. Let’s take a look at the default applied rules found in /etc/sysconfig/iptables. You can either cat this file or run “service iptables status”. From the above output, we see that the existing rules applied for filter table, and the default policy is ACCEPT for the three chains INPUT, FORWARD, and OUTPUT. You may have this question in your mind Because the default policy is ACCEPT for all chains, so any new connection to my box is allowed?. The answer is ” NO “. Only SSH, and ICMP connections are allowed by default, take a look again to the above file, you will notice existence of the last INPUT rule ” -A INPUT -j REJECT –reject-with icmp-host-prohibited ” this rule will reject all connections not allowed in any rule above it with one message “connect to address <your server address>: No route to host”. Here’s what I did in the above file. First I changed the default INPUT, and FORWARD chain policy to DROP. This will drop any INPUT, and FROWARD packets that do not have any iptables rule allowing it. When any new packet is delivered to the INPUT or FORWARD chain, it will be checked against the existing iptables rules, if no match found the packet will be dropped “because of the default policy”. We only allow three iptables rules for incoming packets. We allow all established, and related packets exist before applying the new rules. Also, We allow packets generated from the local interface. Finally, We allow external packets for port 22 “packets for SSH service to be able to remotely manage the box”. Any other packets not defined in the existing three rules, will be dropped. And this is the Basic iptables configuration for securing your Linux box. 1. The iptables command has option -F, --flush [chain], this will flush the selected chain (all the chains in the table if none is given). This is equivalent to deleting all the rules one by one. 2. Do not run this command "iptables -F " using the above configuration, as this will remove all the applied iptables rule, and any new packets will be matched against the default chain policy, which is DROP for INPUT, and FORWARD chain. You will lose the SSH connection to your box. But if you can access your machine's console "connected through a native terminal device tty", you can run it. Anyway you can go and try it, as we have a cronjob that stop iptables every 10 minutes. 3. If you are using the iptables command to edit the iptables rule, to make your rules persistent run this command "service iptables save"
In this article we have explained the meaning of iptables, also we have showed the default table “filter” and it’s three chains “INPUT, FORWARD, and OUTPUT” and their default installation policies “ACCEPT”. We showed you how to control the iptables service “i.e start, stop, restart, etc…”. We did our changes to secure our Linux box by direct modify “/etc/sysconfig/iptables” file. we mentioned one tip to use to avoid losing connections to your server if something wrong happened.